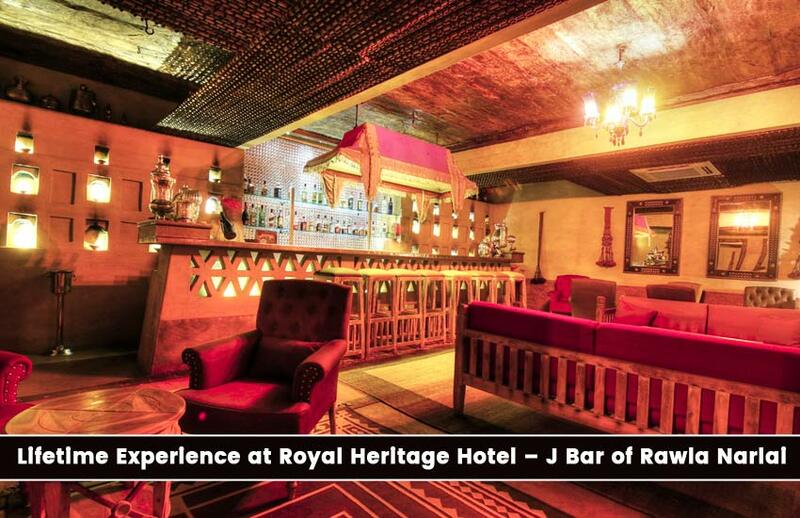 The name forte Rawla Narlai brings in mind the nostalgia of the bygone epoch of the royal history of Jodhpur. The forte was associated with the royal family as a hunting lodge in the 17th century. The erstwhile hunting lodge was set in the lap of the Aravallis covered by rocky outcrops and huge granite. Now it has turned into a heritage hotel with two wings: one is historic and the other one is contemporary. It is one of the best hotels in Jodhpur, the luxurious rooms and suites will cosset you. The delicious foods and beverages with legendary hospitality will be a memorable lifetime experience. Classic Heritage Rooms — The rooms comes with elegant antique furnishing, blended with special hand-printed majestic décor and aesthetic mix of modern amenities. Attached wonderful balconies offer memorable scenic beauty. Grand Heritage Rooms — The contemporary facilities with royal ambience attracts the travellers for its lavish king-size bed, luxuries, and en-suite bathroom. Luxury Grand Heritage Rooms — These rooms have a bedroom with a separate living area boasts the traditional living combined with modern-day’s luxuries. 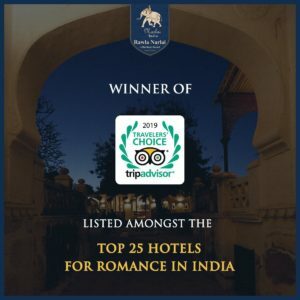 Jharoka Rooms — It is an extraordinary accommodation re-created in Rawla Narlai to commemorate the greatest tradition of Rajasthan for the safety of the women that may found least in other Jodhpur hotels. The rooms offer a picturesque view of the luxurious lawn and its surrounding beauty from the private balcony. Narlai Suit — The suits are the heaven of modern luxuries and royal ambiance that pampers with lavish delight to the travellers. The luxurious suite comes with a wide open lounge with a sitting arrangement that comparable with any 5 star hotels in India. Jharoka Café — The elegant dine restaurant offers great royal breakfast, lunch, and romantic dinner with Indian, Mughal, and Rajasthani cuisines. JBar — Relax and enjoy the evening with alcoholic or non-alcoholic relish drinks and a lavish platter of finger food that you will ever find in any hotel in that area or even in a heritage resort near Udaipur.